Hopelessly Devoted Bibliophile: A random post. I had to share this because it made me giggle like mad. It isn't important, it may not even be funny to you, but it made me crack up! 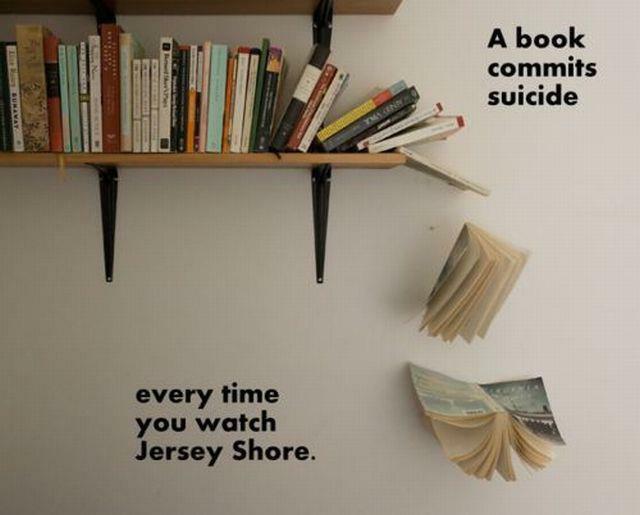 If you like Jersey Shore..... well, I apologize. New post going up tomorrow! I'm working on getting things scheduled now so there won't be anymore random bouts of radio silence. Hello to my new followers! Welcome and you rock in advance! Also, don't forget about the Spooky Swap my friends. It's gonna be a blast. Until tomorrow, love, hugs and books.